Can’t decide between waterfront homes or golf course homes? At Gulf Harbour in Fort Myers, you can have it all. Gulf Harbour Yacht and Country Club is a luxury gated community in the heart of Southwest Florida, along the Caloosahatchee River. The Gulf Harbour development has 22 distinct neighborhoods including riverfront estates, single-family homes, villas and high-rise luxury condos. Beautiful landscaping and grounds great you as you pass the guard gate and flow through this more than 500 acre community from McGregor Blvd to the river banks. Championship golf, a luxurious clubhouse, a modern fitness center and tennis top the list of Gulf Harbour amenities. The equity membership private golf course was designed by Chip Powell and is a Par 72. Gulf Harbour’s 186 slip marina offers deep-water gulf access to the Intercoastal Waterway and Gulf of Mexico. 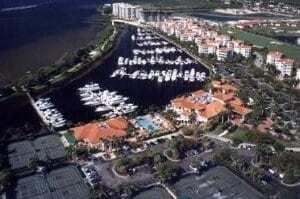 The state of the art marina has accommodations for up to 97’+ vessels, with pump-out facilities available at each slip. The full service fuel dock is equipped with both 90 octane and diesel fuel. Other amenities include restrooms with showers, laundry facilities, a Ships’ Chandlery and The Marker 73 Café. Slips are available for purchase or lease, and transient dockage is available for short term visitors. The large variety of home styles in Gulf Harbour offer luxury real estate for a broad range of budgets, from 300,000 to the mulitmillions. 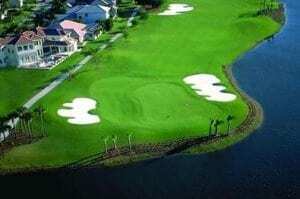 If you love golf, boating, or if you just want to be in one of the most beautiful communities in Southwest Florida, you’ll want to know more about Gulf Harbour. Contact us to get started now.